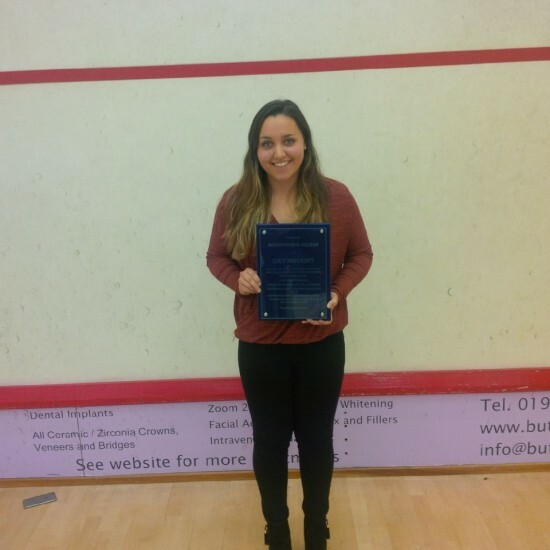 THE most decorated junior squash player in Northumberland was honoured with a special award at the DB Glaziers Junior County Championships. Lucy Beecroft has won a glittering array of trophies in her short career, topping the county rankings at every age group. 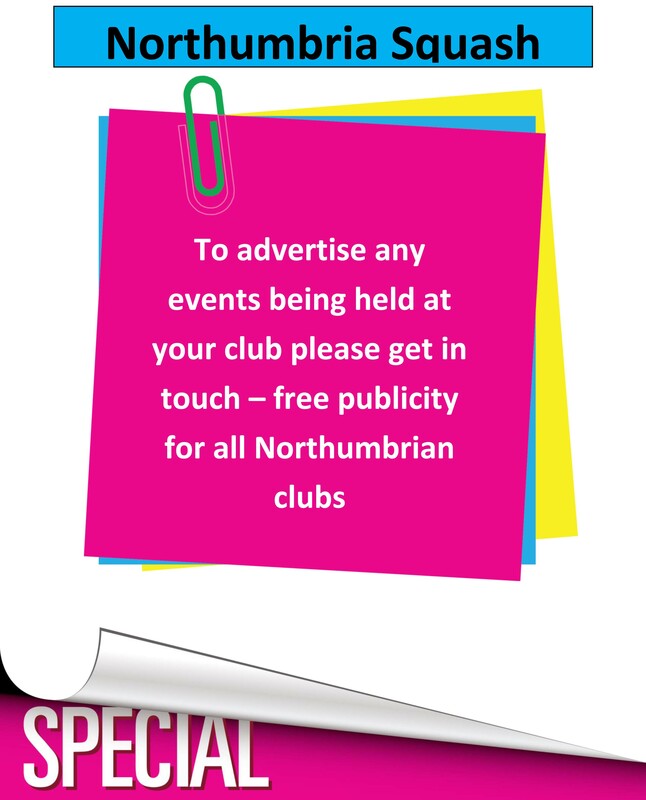 The Tynemouth player turned 19 on October 7th – marking the end of her junior squash career. A player who has scaled the dizzy heights of the junior rankings to be England No 1 at all age groups – and who has also collected two French Junior Open titles – is no stranger to collecting trophies. But a packed crowd on finals night at Jesmond’s Northumberland Club could tell that this trophy arguably meant more to her than any other – as a clearly moved Beecroft delivered an emotional speech. There was special mention for her coach at Tynemouth, Ray Rycroft, who has worked tirelessly with Beecroft for seven years. Thanking county chairman Dave Barnett as well as her parents Sue and Paul, she said: “This means so much to me. 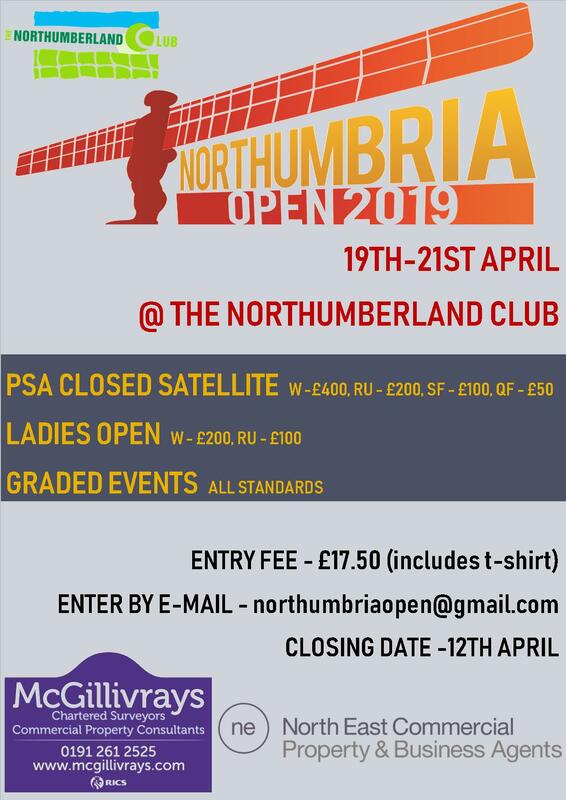 Barnett, who has watched her career at close hand as junior county coach said: “Lucy’s amazing junior career was coming to an end and this award by Northumbria squash is to recognise and thank her for being such a high achieving Northumbria player.